Small cars attack Europe! 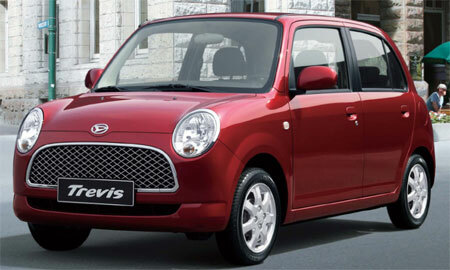 Daihatsu has brought in the Daihatsu Mira Gino into the European market as the Daihatsu Trevis with minor facelifts, such as a different front grille and other minor cosmetic changes. Yes, this car might seem familiar to some of you. A Mira Gino conversion is pretty popular with local Perodua Kelisa enthusiasts to give it a look reminiscent of the old school Mini. 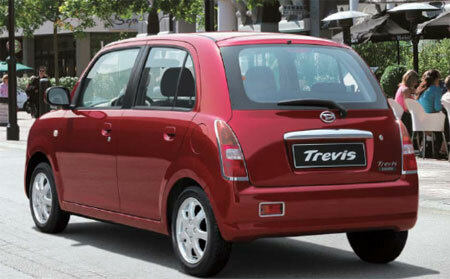 The Daihatsu Trevis is powered by a 1.0 litre DOHC 3-cylinder engine with DVVT (EJ-VE) making 58 horsepower and 91Nm of torque at 4,000rpm and gets a good 4.8 litres per 100km. 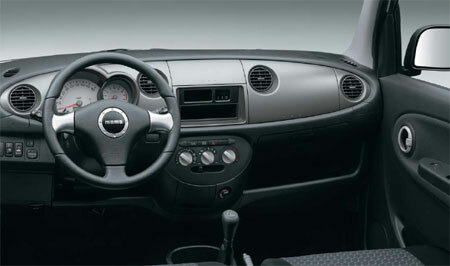 Transmission is either a 4-speed auto or a 5-speed manual, which makes the engine and gearbox options pretty much similiar to our local Perodua Kelisa except this one has DVVT. 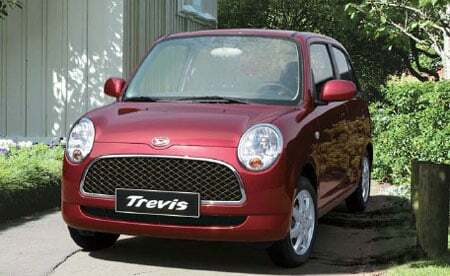 The Daihatsu Trevis Junior goes for 9,990 Euros, which is about RM47,150. The Daihatsu Trevis, which adds a MOMO leather wrapped steering and other goodies like 14 inch alloy wheels goes for 10,990 Euros, that would be about RM51,786. 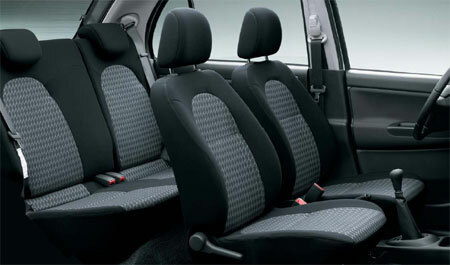 To upgrade from the 5-speed manual to a 4-speed auto, tag on 970 Euros (RM4,580) to the price.